The incentive for miners to invest computing power in the verification process is that, as compensation, they may create new Bitcoins. The process is as follows: the miner that resolved the hash function quickest, in other words who first computed z, as a reward also adds an extra “transaction” to the block to be verified (y). This transaction credits the miner’s wallet with N amount of BTC without anybody else’s wallet being debited. In order words, N amount of new Bitcoins is created with the winning miner as the owner. Every other week, the set of rules (the protocol)10 governing Bitcoin adjusts the degree of difficulty v of the hash function and the amount of Bitcoins (N) created in each verification. The adjustment is to ensure that the network can verify transactions once every ten minutes. If computing power in the network increases, so will the degree of difficulty, and vice versa. The amount of Bitcoins created decreases over time through N being halved after 210,000 blocks, which equates to around 4 years. The initial amount was N=50 and now it is N=25. Because N decreases over time, there is an upper limit of 21 million on the number of Bitcoins that can exist. This limit can be seen as a mathematical threshold that is never reached, even if the amount of BTC can get arbitrarily close. At 30 June 2014, there were around 13 million BTC. 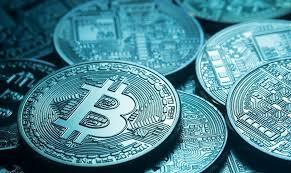 Because of this way of creating new Bitcoins, there is, unlike for national currencies issued by central banks, no central Bitcoin issuer – the creation of new Bitcoins being governed by its protocol. Hence, neither is Bitcoin a monetary claim on another party. Swedish notes and coins are formally a claim on the Riksbank and bank balances are a claim on the bank, backed by its balance sheet. The value of a Bitcoin is thus not based on any type of claim or underlying asset. Rather, its market value depends entirely on an expectation that it can be used in future transactions.